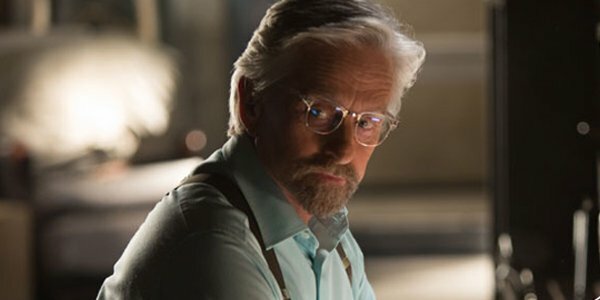 Ever the studio to hand out multi-picture deals, Michael Douglas has revealed that there is currently no arrangement for him to reprise his role as scientific visionary Hank Pym in the Marvel Cinematic Universe, meaning that it’s unlikely the veteran actor will be locked down for any Ant-Man sequels, prequels or potential spinoffs. As the weathered mentor who slowly guides protagonist Scott Lang on the path to the movie’s unlikely hero, replacing him in the Ant-Man suit in the process, Douglas’ role was largely limited to delivering exposition about the finer details of the technology and the mysterious Quantum Realm. However, though nothing has been signed as of yet, that doesn’t necessarily mean that Douglas would turn down the chance to return to as the brilliant inventor. With a crowded film slate that stretches all the way into 2019, Marvel will be spinning a lot of precious plates over the next four to five years. As such, while Ant-Man has been greeted with a generally favorable reception, along with Peyton Reed’s enthusiasm to return to these characters, it’s unlikely we’ll see the purported sequel anytime before 2020. For Michael Douglas to reprise his role as Hank Pym, it would require the studio to reshuffle its pack or, on the other hand, to really make some ground on the purported Wasp spinoff movie, reuniting him with Evangeline Lilly’s Janet Van Dyne in the process. What do you think, though? Are you disappointed that Michael Douglas hasn’t been locked down for further appearances in the MCU beyond Ant-Man? Let us know in the comments.